Scroll down for pictures of the Inn, The Gathering Place & Pavilion, and the Campground. 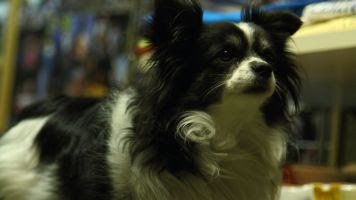 Terri & Panda, our "Alarm System"
For the night, the weekend, or the entire week, the peaceful surroundings and family friendly atmosphere will make you want to return time and time again! Whether taking a dip in the swimming pool, relaxing in the swing on the patio or next to the lake, FISHING on beautiful Weiss Lake or visiting the many local attractions, Inn and campground guests are sure to enjoy their stay. We can help you with that too! Check out our "Attractions/Guide Services" page. Do you have an event or tournament going on at Gadsden State College - Cherokee Campus? Only 4 miles away! Rock climbing at Cherokee Rock Village? Less than 10 minutes! Looking for a great location for youth, men, women, or couple retreats, fishing trips, family reunions, quilting, stamp booking, crocheting, or other theme weekend, Boy Scouts or Girl Scouts outing, birthday party, wedding or baby shower, or a weekend group activity? 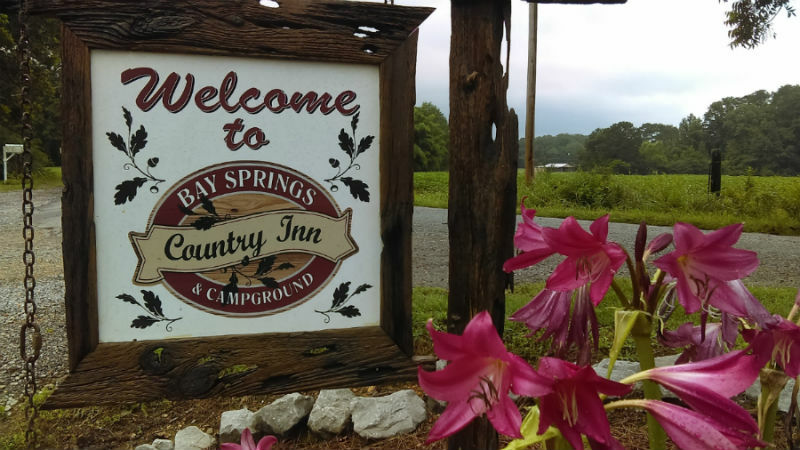 Bay Springs Country Inn & Marina, Camping & RV Park may be just the place for you! Our meeting/event building has a full kitchen, fireplace, 55" flat screen & DVD, round & long tables, chairs. "The Pavilion At Bay Springs"
Has 6 picnic tables and a group grill. Give us a call to discuss the possibilities! Check out our Area Attractions/Guide Services page for the really great things to see and places to visit in the area. How long has it been since you have been to an "Old Fashion" Drive-In Theater? A great treat for the kids! Be there in less than 5 minutes! Rock Climbing? One of the best in the South - only 10 minutes! Exotic Animal Preserve? Only 15 minutes away! And these are just a few! Pets are welcome. Pet fee does apply. *** Be sure to check out the pictures on the Brag Board pages of our web site! And, when staying with us, let us get pictures to put on the Brag Board in the office and on our web site! Looking for lodging in Centre, AL? 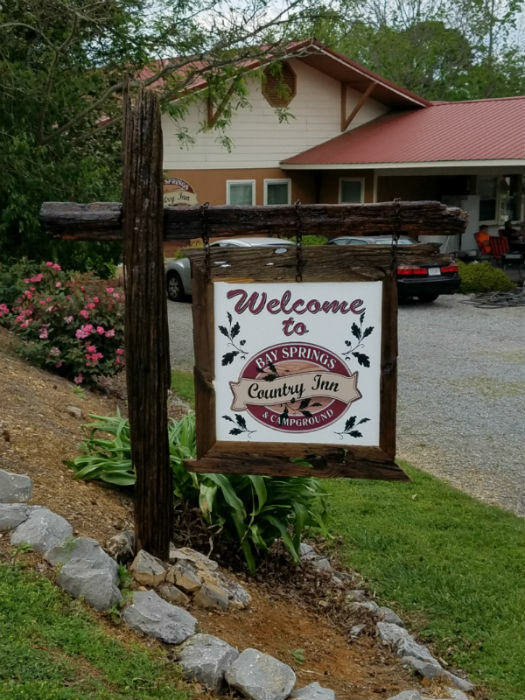 Bay Springs Country Inn & Campground in Centre is conveniently located on Weiss Lake just 1/2 mile off Hwy 411 and 1 1/2 miles from shopping & restaurants. Every Tuesday and Thursday - everyone is welcome. A hotel room at Bay Springs Country Inn & Campground is like home away from home. Hospitality and cleanliness are our TOP priority.